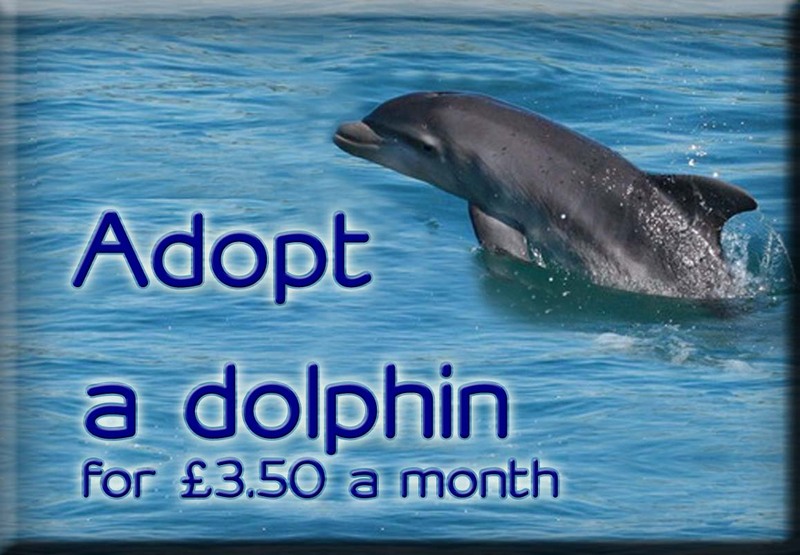 Sea Watch Foundation » Dolphin attacks on Moray Firth harbour porpoises! 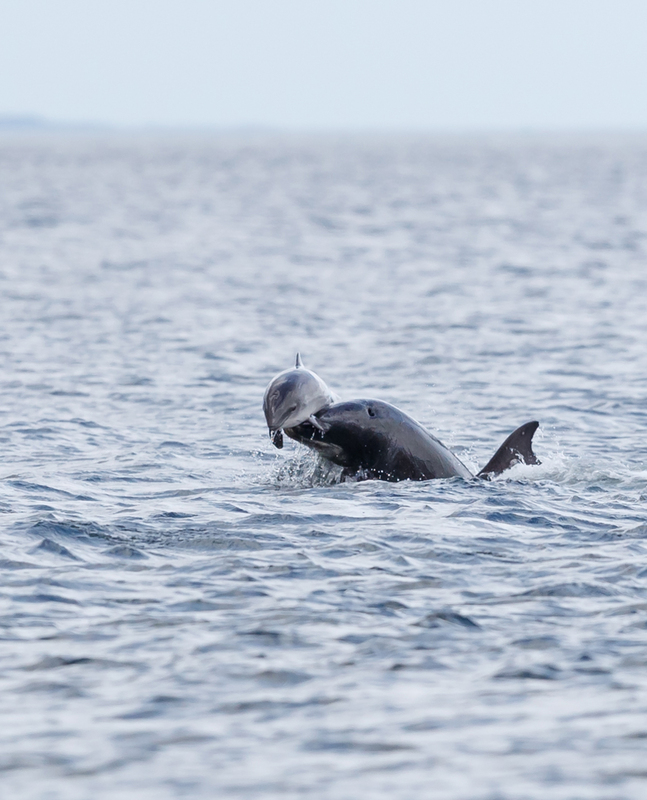 Two dolphin attacks on harbour porpoises, a rare sight to actually observe in British waters, have been recorded by local photographers, Jamie Muny and Alister Kemp, close to the shore of Chanonry Point in the Moray Firth, NE Scotland! Researchers at Sea Watch Foundation, a national charity that monitors the numbers and distributions of whales, dolphins and porpoises around the British Isles, have been alerted to a series of unusual sightings of bottlenose dolphin attacks upon porpoises in the Moray Firth this past week. Instantly, the staff at the research organisation realised that Jamie and Alister had managed to take some exceptional photographs. 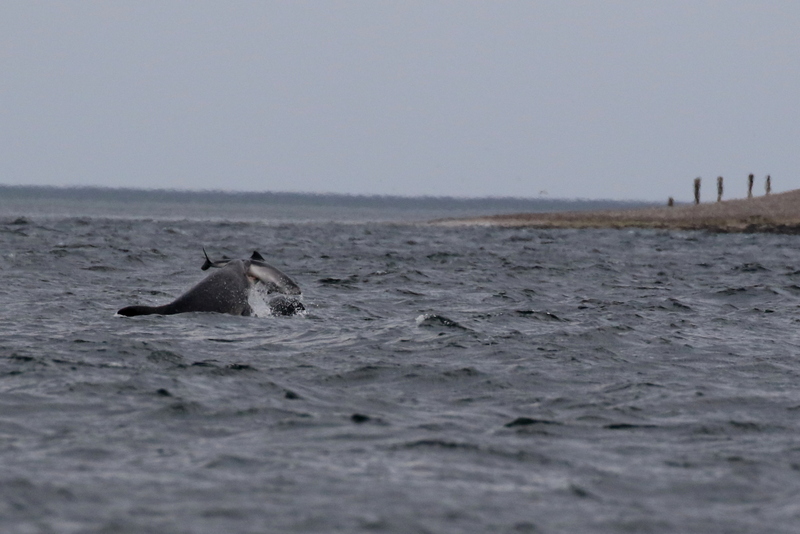 Bottlenose dolphin tossing a harbour porpoise up in the air on May 9th. Copyright: Jamie Muny. 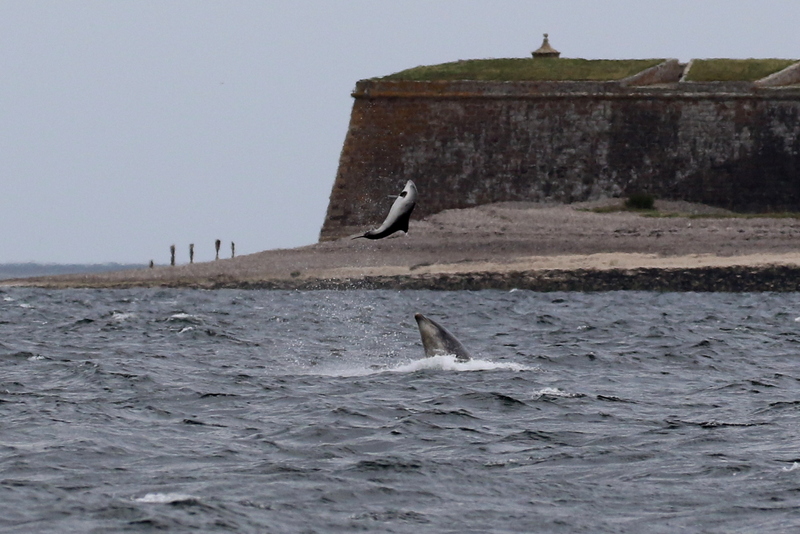 Bottlenose dolphin tossing a harbour porpoise up in the air on May 11th. Copyright: Alister Kemp. Jamie and Alister have been photographing dolphins for over a decade and although they had heard about these attacks before, this was the first time they had witnessed something like that. On May 9th and May 11th, pods of bottlenose dolphins were seen attacking harbour porpoises, with each attack lasting around 5 to 10 minutes. On both occasions, the photographers thought the dolphins were throwing a large salmon up into the air, as they often feed on this species of fish in the area. It was only when they reviewed their images afterwards that they realized it was in fact a porpoise. On May 9th, while being tossed in the air, the porpoise appeared motionless as the dolphin pushed it up out of the water with their beaks seemingly across the stomach. On one occasion, a dolphin appears out of the water with a porpoise resting on its beak. Bottlenose dolphin holding a harbour porpoise in its mouth on May 11th. Copyright: Alister Kemp. “In the hundreds if not thousands of hours I’ve spent photographing the dolphins, I have never witnessed such an attack” reported Alister. “I was saddened and shocked by the whole event and at the same time there is a feeling in my heart that tells me that I am lucky to have witnessed this very rare event but have no doubt it is something that I will not want see again, it was brutal” recounts Jamie. 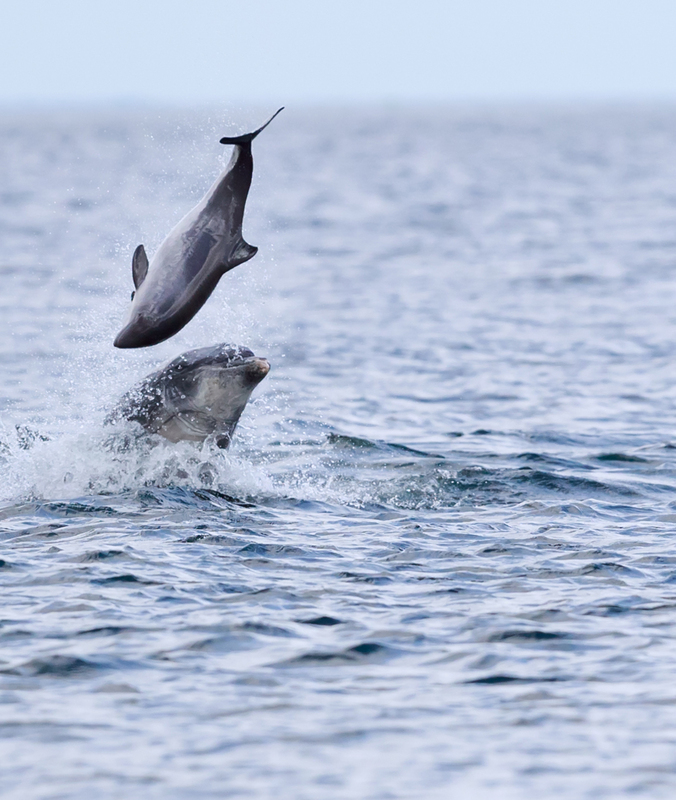 A semi-resident population of bottlenose dolphins and the largest recorded in the UK, occurs also in Cardigan Bay, where such interactions with harbour porpoises have also occasionally been observed. In this area, acoustic studies have shown that, as a result, harbour porpoises tend to avoid the dolphins. The first aggressive interactions between these two species in UK waters date back to the 1990s but they have since been reported on a number of occasions particularly in NE Scotland and W Wales. The reason for some bottlenose dolphins to kill porpoises is not fully known. 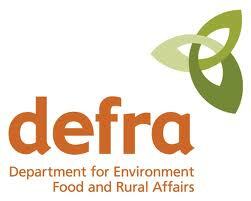 It is generally adult males that do the attacking, and sometimes they do so in a group of two or three animals. 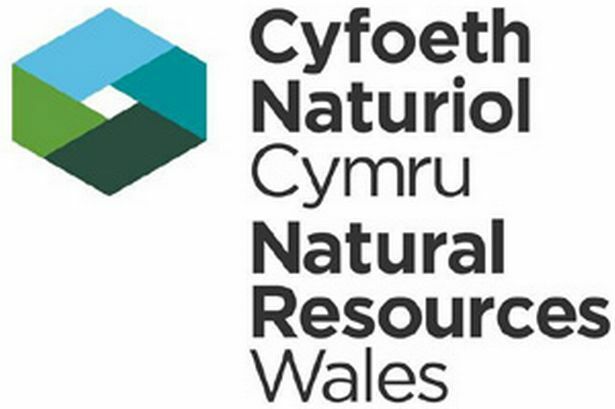 The UK Cetacean Strandings Investigation Programme (CSIP) in collaboration with Sea Watch Foundation and other bodies have recorded 142 porpoises stranded-attacks by bottlenose dolphins spanning from 1991 to 2013, using stranding data for Wales. And in East Scotland, the number is even higher. “The cause of these incidents is not clear but aggressive interactions could be due to the high co-occurrence of the two species which can result in competition over a shared food resource, occasionally leading to the death of the smaller species, although other theories have included misdirected infanticide. The changing testosterone levels in male dolphins could also influence the extent and seasonality of these attacks. The waters in the UK are incredibly rich for whales, dolphins and porpoises, and reporting sightings, whether they are of species displaying unusual behaviours or not, is a really important for Sea Watch as they are way to learn more about the many cetacean species occurring around the UK”, said Chiara Giulia Bertulli, Sightings Officer for Sea Watch Foundation. 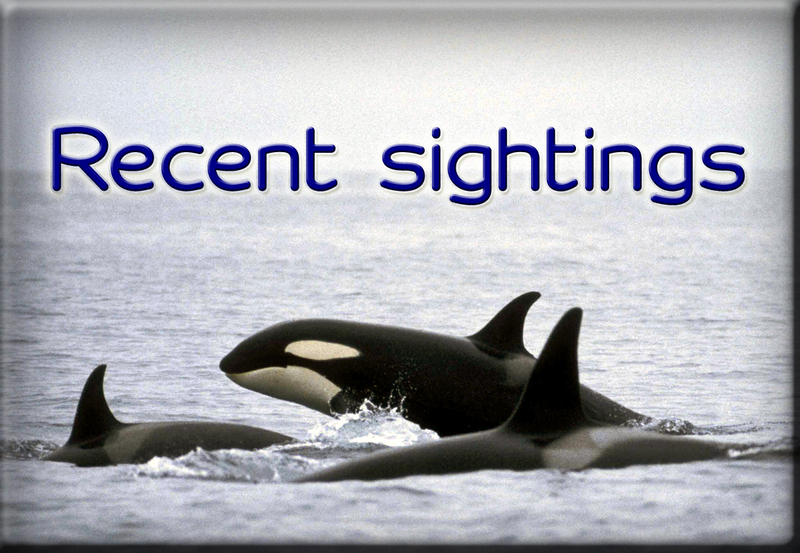 If people are interested to take part in monitoring cetaceans for themselves, they are urged to visit the Sea Watch Foundation website to report their sightings or become a volunteer.